For many travellers, KwaZulu Natal is where South Africa becomes Africa. 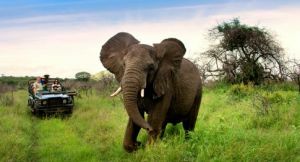 The KwaZulu Natal safari destinations rank among the best for rhino, big cats and elephants. 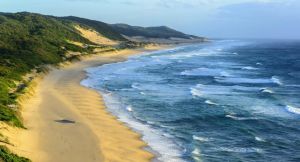 The KwaZulu Natal coast, away from the popular resorts, is a place of deserted beaches set between bird-filled forests and teeming coral reefs. Thatched Zulu villages lie close to old battlefields where the echoes of colonial wars still reverberate. It’s South Africa’s most diverse holiday destination. 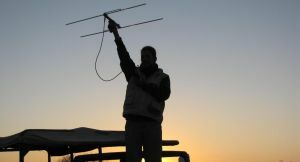 You can go on Big 5 game drives, enjoy the country’s best bird watching and track nesting turtles. 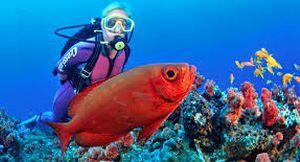 Scuba divers will find an ocean filled with tropical sea life and its mountains are home to spa retreats, hiking trails and world heritage rock art sites. It’s also easy to visit too: many KwaZulu Natal safaris are self-drive tours; you drive between accommodations, leaving the lodge’s guides to take care of the safari activities. Boasting a sub-tropical climate, KwaZulu Natal will suit every kind of traveller. There are beachfront hideaways for romantic travellers as well as family-friendly lodges and kids safari programmes. History buffs enjoy expertly guided tours around famous battlefields such as Rorke’s Drift and Spion Kop; Zulu culture is showcased through storytelling and song. There’s plenty for the discerning traveller to enjoy: exclusive country manors and boutique eco-lodges are tucked away in private reserves. It’s also a destination that suits the active traveller: KwaZulu Natal is a playground for nature, sport and water lovers. Go on game drives, track rhino on foot and paddle a coastal lagoon to the call of African fish-eagles. The weather is usually warm and sunny even in mid-winter – and its generously warmed Indian Ocean coast is South Africa’s best snorkelling and diving destination. Accessible via Durban’s King Shaka International Airport, KwaZulu Natal combines easily with South Africa’s other popular travel destinations – the Kruger Park, Sabi Sands and Cape Town. 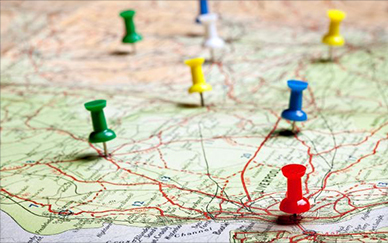 Contact us and we can recommend a tour based on your requirements or will tailor-make you an itinerary. Northern Safari Region – KwaZulu Natal Safaris are as famous for rhino, elephant & big cats as they are for their birdlife & beautiful scenery – Hluhluwe-iMfolozi Park plus the Phinda & Pongola game reserves are our top choices. KwaZulu Natal Coast – Head south for golf courses & sunny swimming beaches; go north for the wild Elephant Coast & iSimangaliso Wetland Park – a UNESCO World Heritage Site complete with coral reefs & turtle breeding grounds. The Battlefields Region – Easy to include on a self-drive tour, the Boer and Anglo-Zulu War Battlefields are best toured with an expert guide who will bring the landscape to life. 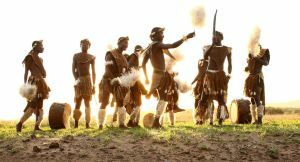 Several lodges are in the area & you’ll be introduced to Zulu culture too. KwaZulu Natal’s safari reserves are among the best in South Africa & several are home to lion, leopard, rhino, elephant & buffalo. You’ll enjoy game drives with an expert guide & sharp-eyed tracker. Palm-fringed beaches, turtle-nesting sites & coral reefs – the KwaZulu Natal coast brims with biological diversity. Home to a handful of private lodges, it’s a paradise for water-lovers, bird watchers & scuba divers. Whether it’s a stroll around camp with a bird-watching guide or a heart-in-the-mouth rhino tracking adventure, being on foot in big game country is an experience you’ll always remember. 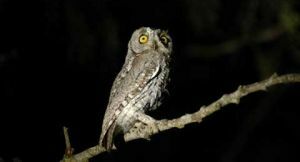 Safari lodges in private reserves conduct spot-lit night drives in the early evenings, your best chance to see Africa’s little-seen nocturnal life on the move – bush babies, giant owls, leopards & porcupines. Expert guides bring the famous battlefields of Rorke’s Drift, Spion Kop & Isandlwana alive with their vivid description of the events – you can almost smell the gunpowder! From the novice fisherman to the expert angler fishing with a fly, Lake Jozini offers you the ideal location for a tiger fish catch of a lifetime. 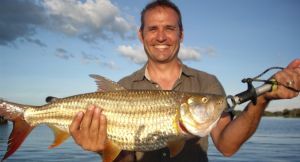 We promote a catch and release policy for Tigerfish. Elephanting does not focus solely on finding and seeing elephants, but offers an educational experience and an opportunity to spend time with an elephant researcher at White Elephant Safari Lodge. 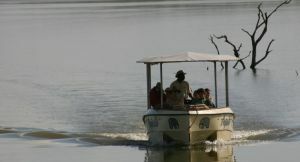 Boat Cruises are a wonderful alternative to exploring the flora and fauna of our wildlife sanctuary. Sightings of herds of antelope, hippo, crocodile as well as an enormous variety of bird species are common.